Geek alert! In this post we get into the science behind the alkaline diet. If you tend to be a skeptic, or just like to know the facts, this post is for you. If you’re looking for a more general overview of the alkaline diet, head over to our post Understanding the Alkaline Diet. For the rest of you who like to get into the nitty-gritty, or have a skeptic friend to persuade, read on! PRAL, the scientific measure that lead to the alkaline diet. In their paper a measure known as Potential Renal Acid Load (PRAL) was created based on the protein, phosphorus, potassium, magnesium and calcium content of a 100 gram (3.5 oz.) serving of any food, to help assess the acid/alkaline effects of food on the body, post digestion. PRAL leaves us with a number to associate with each food, and with it we can not only understand a single food’s effect, but also add the numbers that make up an entire meal together to get an overall idea of the acid (or alkaline) impact our meal might be after digestion. Negative PRAL numbers reflect that a food’s impact is alkaline in nature (negative means alkaline)! 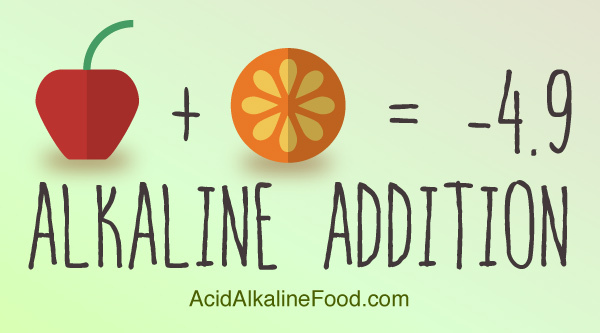 Positive numbers reflect acidic food (positive means acidic)! For the more geeky inclined, with the alkaline food PRAL measure you can now use math to create your own meals and diet plans, or asses your current diet plan. That’s right, for all you engineers, mathematicians, or general “numbers” people out there, you can now use math to get an estimate of the acid or alkaline impact your meal might have. See the equations below. Simple example meal: Cod over spinach leaves and and white rice on the side. See the chart in the PRAL values section below to do some of your own calculations. Okay, that’s great, but I don’t want to do math. Hey, we warned you this alkaline diet article was going to be a heavy one! But lucky for you, we’ve created a more generalized, beautiful color coded alkaline food chart that you can print out and stick on your fridge, for free! There are also a lot of books that cut to the chase, and give you recipes, or a general diet plan to follow, see our recommendations on the right which will take you to their Amazon pages. After finding a correlation between foods and acidic states in the body, researchers started to link those acidic states to actual disease. How is PRAL itself calculated? If you’ve enjoyed this article, and want to learn even more, we highly recommend The Kick Acid Diet book by Dr. Alwyn Wong. This is the most technical book on acid and alkaline foods we’ve found. Above is a short interview with Dr. Wong, which will give you an idea of what sort of information he offers. 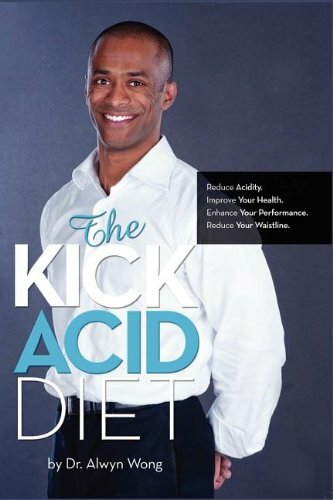 In a nutshell, The Kick Acid Diet book provides the tools needed to better assess your own eating, but isn’t necessarily the best source for recipes or a pre made acid-alkaline diet plan.